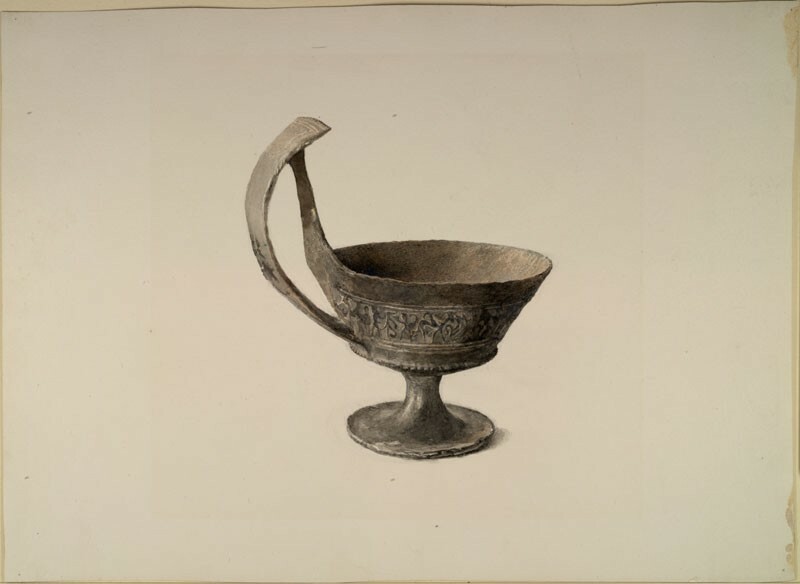 R|55} Study of Etruscan cup. M.
More careful drawing of a finer piece of pottery than 53. The care is in reality in the irregularities which seem careless, as in the uneven placing of the cup on its base. I should have liked, however, to finish this drawing a little more, but the textures it ought to have had may be sufficiently practised from No.60.